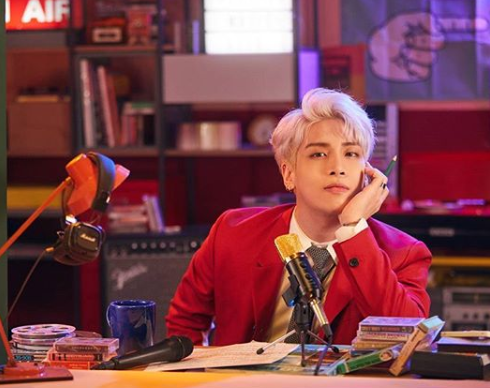 On December 18, 2017, the world said farewell to the iconic musician Kim Jonghyun. Even though a year has flown by, he will never be forgotten by those who loved and respected him. As a longtime SHINee fan, I want to honor the memory of SHINee’s first lead singer, Kim Jonghyun. Unfortunately, “Shinin” was released posthumously, so we never saw him beam with joy at the success of his single and album “Poet Artist”. (The album claimed the number one spot on the charts in South Korea, America and Japan.) “Shinin” alone is a beautiful and immortal single that will be loved forever. Jonghyun’s pink hair, the variety of colorful clothing and catchy beat made “She Is” irresistible! It’s impossible to forgot this one after listening to it. I have watched this video countless times marveling at his smooth vocals and dynamic stage presence. “Deja-boo” was one of his finest solo songs! During happier times with his band SHINee, he was all smiles as they celebrated the Christmas season with fans (aka ShaWols). The song “Colorful” was so much fun! Jonghyun was the master of selfies. He knew how to look perfect from any angle. Jjong knew how to enjoy a delicious yet colorful cake. This tasty social media post was unforgettable. He took pride in his workouts. He seemed to be disciplined and dedicated at the gym. He even enjoyed great friendships with his fellow labelmates. Jonghyun seemed to be a valuable senior to Red Velvet. Rest in peace, Kim Jonghyun. Photo and Video Credits: Instagram and SM Entertainment’s YouTube/SMTOWN.. This entry was posted in Entertainment, Music and tagged 김종현, 샤이니, kim jonghyun, SHINee. Bookmark the permalink.